Also called as “Ganj Ali Khan Bazaar”, the historical bazaar of Kerman with its amazing architecture and eye catching brickworks is one of the places in Iran where you can touch Iranian history, pop culture and traditions. Kerman Bazaar will offer you the nostalgic smell of Persian spice, the rhythmic sound of hammers of the men making beautiful copper crafts and original Persian hospitality. The magical Shahdad Desert is a part of great the Lut Desert, which has been inscribed as the first UNESCO natural heritage site of Iran. Shahdad desert is known for its marvelous Kalouts, which are sand made rocks formed by the wind during ages. The beauty of the madly starry nights and the pleasant silence of Shahdad Desert is just beyond imagination. 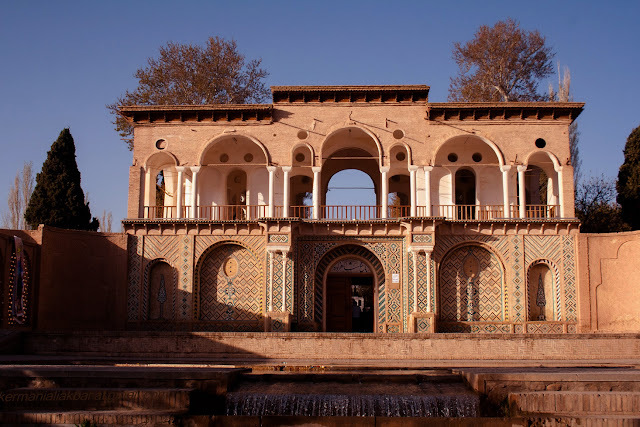 Being known as one of the beads of nine Persian Gardens, inscribed by the UNESCO, Shazdeh Garden located 39 kilometers away from Kerman is a gem in the heart of barrens. This garden was built during the last days of Qajar dynasty by the decree of time governor of Kerman. The charming pavilions of the garden, the aged cypress, plane and pomegranate trees, the fresh air and the enlivening water fountains of Shazdeh Garden make it a place where you wouldn’t like to leave. 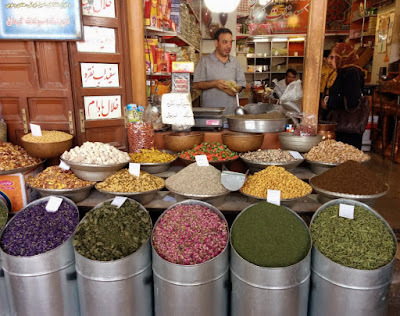 Boz Ghormeh (including lamb, beans and whey) and Kashk o Bademjan (including eggplant and whey) are among the tasty local cuisines of Kerman. You can enjoy your meal in traditional restaurants of this city. Don’t hesitate to offer yourself some pastries of Kerman like Kolomple with a cup of well brewed Iranian tea. Uppersia team highly suggests every traveler to visit the historical city of Kerman while traveling in Iran. You can check Kerman Day Tours of Uppersia and find out what else this magical land has to offer. 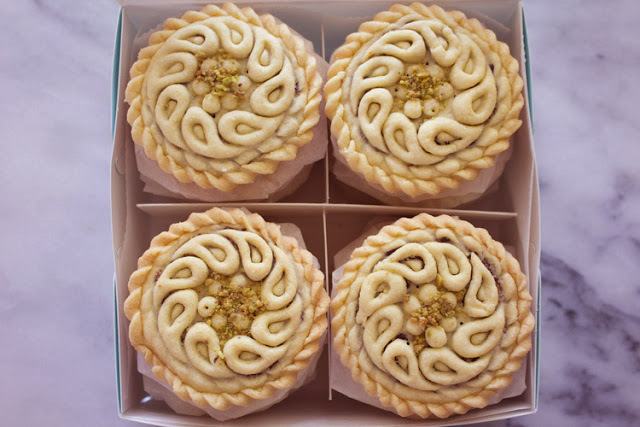 Kolompeh, local pastry of Kerman.